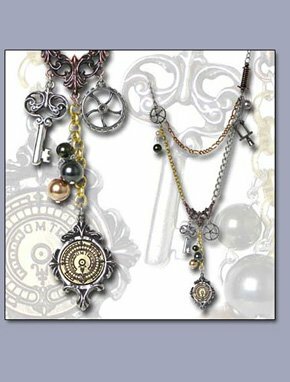 This steampunk necklace is the absolute height of post-industrial retro fashion. A flamboyant and flouncing bijouterie comprising an assortment of retro hi-tech components for the femme technique. Or, in layman's terms, beautiful, artistic and downright AWESOME. 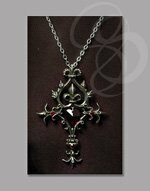 Made in England from the finest pewters, brass and crystals, this necklace is the crowning glory in any steampunk- or retro-themed outfit. Then again, it looks great and makes a statement with just about any outfit.